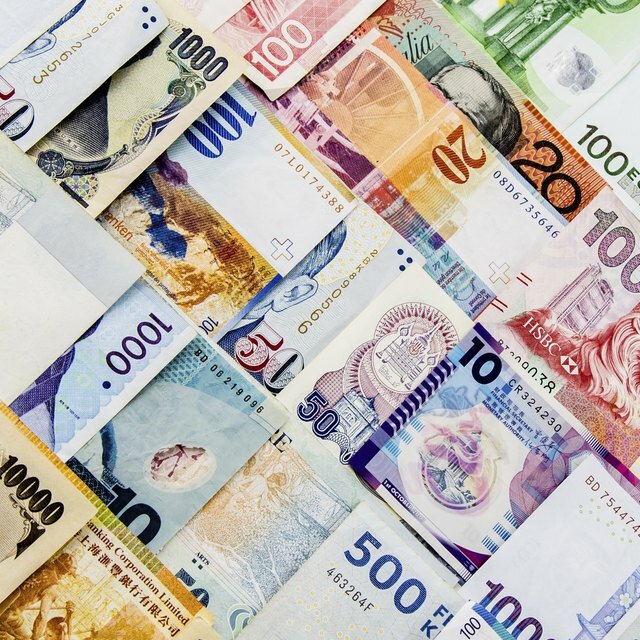 Trading foreign currency on the foreign exchange, or Forex, poses tough challenges for the professional as well as the novice. Currency values change unpredictably, and economic news can move a position against you almost instantaneously. On top of the uncertain nature of Forex trading comes a tax challenge if you succeed. The Internal Revenue Service wants to know about any income you receive, from any source, and makes no exception for Forex-trading profits. The tax treatment of your Forex trading depends on what kind of trading you do. If you trade options and futures on currencies, you may elect taxation under Section 1256 of the IRS code. Section 1256 taxation allows you to take 60 percent of your profits as long-term capital gains and 40 percent as short-term gains. The combined rate of 23 percent is lower than that charged on short-term stock transactions -- those held less than a year. You report the year's trading results on IRS Form 6781 and Schedule D.
Most online currency trading is done in the spot Forex market, where a trade can open and close again within minutes. This places Forex day trading under the rules of IRS Section 988 for foreign exchange contracts that settle within two days. Under the rules, you can deduct an unlimited amount of capital losses, which is a big advantage over the $3,000 limit on capital losses on stocks and other capital assets -- including Forex futures and options under Section 1256. However, Section 988 gains are taxed at 35 percent. If you have a net gain in the year's trading, you would be better off paying taxes under Section 1256. The catch in reporting Forex trading income is that the IRS requires that you elect either Section 1256 or Section 988 taxation on your foreign exchange dealing by Jan. 1 of the tax year. You can't change this election once the year is under way. If you have just begun trading, you can make the election when you begin trading, no matter what time of year it is. As of 2013, the IRS only required internal documentation of this election, which prompts some traders to cheat a bit and wait for the year's results before declaring their choice. Instead of keeping a record of every trade you make, you can report spot Forex trading to the IRS with a performance record. This is a summary statement of the results and cash position in your trading account for the entire year. You subtract assets in your account at the beginning of the year from assets at the end of the year; then you subtract cash deposits and interest income and add withdrawals and expenses, such as broker fees, interest and commissions. The result is your net gain or loss.